For other people with this name, see Steve Davis (disambiguation). Steve Davis, OBE (born 22 August 1957) is an English retired professional snooker player from Plumstead, London. Regarded as a pivotal figure in the emergence of the modern professional game, he dominated snooker during the 1980s, reaching eight World Championship finals in nine years, winning six world titles, and holding the world number one ranking for seven consecutive seasons. His encounter with Dennis Taylor in the 1985 World Championship final is widely considered to be the most famous match in snooker history. Its black-ball conclusion still holds the record for the UK's largest after-midnight television audience, with 18.5 million viewers. Davis's other achievements include winning the Masters three times, the UK Championship six times, and becoming the first player to complete snooker's Triple Crown by winning the UK Championship, Masters, and World Championship in the same season (1987/1988). He won a total of 28 ranking titles, earned over £5.5 million in prize money, and compiled 355 competitive century breaks, including the first officially recognised maximum break in professional competition, at the Classic in 1982. Named the BBC's Sports Personality of the Year in 1988, he remains the only snooker player ever to win the award. The ascendancy of Stephen Hendry put an end to Davis's period of dominance. He continued to compete at a high level and was still a top 16 player when he turned 50 during the 2007/2008 season. In 2010, aged 52, he made his last appearance at the Crucible for a record 30th time and becoming the only player to compete in the tournament over five different decades, since his 1979 debut. He slipped down the world rankings thereafter, and on 17 April 2016, aged 58, he announced his retirement after 38 professional seasons. He remains active as a television analyst and commentator for the BBC's snooker coverage. He was made an MBE in the 1988 Birthday Honours and an OBE in the 2000 New Year Honours. Davis came to public prominence after his performance at the 1980 World Championship, where he reached the quarter-finals, defeating defending champion Terry Griffiths en route, before losing to Alex Higgins. Davis won his first major title in the same year – the UK Championship – during which he beat Griffiths 9–0 in the semi-finals and Higgins 16–6 in the final. This began an 18-month period of dominance. He won the Classic and then the International Masters and English Professional titles in 1981, and became the bookmakers' favourite to win the 1981 World Championship, despite being seeded only 15. Davis reached the final by defeating Jimmy White in the first round, Higgins in the second round, Griffiths in the quarter-finals and defending champion Cliff Thorburn in the semi-final. Davis's 18–12 victory over Doug Mountjoy in the final confirmed bookmakers' early predictions, and in celebration his manager Barry Hearn charged across the arena to lift him up in the air. He would go on to reach seven out of the next eight world finals. Peculiarly, Davis's first four world finals were each against a player of a different nationality, something that had not occurred before and has not since. He followed up his world title win with a 9–0 final victory over Dennis Taylor in the International Open and then retained the UK Championship with a 9–0 whitewash over White in the semi-finals and a 16–3 win over Griffiths in the final. This began a period of six months in which Davis and Griffiths contested almost all the major tournament finals. During this run, in January 1982, Davis made snooker history when he compiled the first televised maximum break at the Classic at the Queen Elizabeth Hall, Oldham, against John Spencer. Davis won a Lada car for the achievement. Davis subsequently lost 8–9 in the final against Griffiths. In 1982, Davis won his first Masters title, defeating Griffiths 9–6 in the final. Davis's 18-month period of dominance ended at the 1982 World Championship, when he succumbed to the so-called "Crucible curse", losing 1–10 against Tony Knowles in the first round. Later that year, he could not win a third consecutive UK title as he lost in the quarter-finals against Griffiths. Following those two setbacks, he won the World Doubles Championship title with partner Tony Meo. In 1983 Davis regained the world title with a session to spare in the final, defeating an overwhelmed Thorburn 18–6; Thorburn had seen his previous three matches go to a deciding frame and a late finish. Davis lost 15–16 to Higgins in the 1983 UK Championship final, despite having led 7–0 at one point of the match. In 1984, he became the first player to retain his world title at the Crucible Theatre by beating Jimmy White 18–16 in the final. He also regained the UK title in 1984 defeating Higgins 16–8. Davis started 1987 by winning the Classic, beating defending champion Jimmy White 13–12. At the World Championship, he defeated Griffiths 13–5 in the quarter-final, and White 16–11 in the semi-final. In the final he again met Johnson, and established a 14–10 lead after three sessions. Johnson reduced Davis' lead to 14–13, but Davis won four of the next five frames to win the match 18–14 and regain the title. In beating Johnson he became the first player to win the UK Championship, Masters and World Championship in the same year. In December he retained his UK title with a 16–14 final win against White. In 1988, he retained the Classic, claimed his second Masters title with a 9–0 final whitewash of Mike Hallett (the only final whitewash in the event's history), won the World Cup with England and won his fourth Irish Masters title. In the World Championship Davis defeated Hallett 13–1, Tony Drago 13–4 and Thorburn 16–8 en route to the final, where he met Griffiths. Davis established a 5–2 lead after the first session, but Griffiths levelled at 8–8 after the second. On the second day of the match Davis took ten out of thirteen frames to win 18–11 and claim his fifth world title. Davis won the first ranking event of the 1988/1989 season with a 12–6 win over White in the International Open; in the same match, he became the first player to make three consecutive century breaks in a major tournament. In October, Davis won the Grand Prix, beating Alex Higgins 10–6 in the final to hold the World, UK, Masters, Grand Prix, Classic and Irish Masters titles simultaneously. However, his four-year unbeaten run at the UK Championship came to an end in December with a 3–9 semi-final loss to Hendry. He did not win another major title that season until the 1989 World Championship, where he beat Hendry 16–9 in the semi-finals before going on to complete the heaviest victory in a world final of the modern era with an 18–3 win over John Parrott, his last world championship. This match in particular was regarded as one of his greatest performances, and was cited in the Guinness Book of Snooker as "The greatest display of potting, break building and safety play ever seen" with the further observation "no-one could have lived with Davis the way he played at the Crucible in 1989". In October he retained the Grand Prix, beating Dean Reynolds 10–0 in the final, the first whitewash in a ranking event final. By the end of the 1980s, Davis was snooker's first millionaire. After demolishing John Parrott in the 1989 World Final, it seemed obvious that the new decade would see Davis and rising star Stephen Hendry battling for supremacy. However, the prospect of Davis v Hendry World finals never materialised. As with Ray Reardon and his successor Steve Davis, there was to be no World Final showdown between once and future kings. Instead, Hendry became the new king, with Jimmy White as his main rival. In the 1990 World Championship, Davis was denied an eighth consecutive appearance in the final by Jimmy White, who won their semi-final 16–14. Davis was replaced as world number one by Stephen Hendry at the end of the 1989/90 season. He was ranked number 2 for the 1990/1991, 1991/1992, 1994/1995 and 1995/1996 seasons. He reached the semi-finals of the World Championships in 1991 and 1994. He also won the Irish Masters in 1990, 1991, 1993 and 1994, the Classic and the Asian Open in 1992, the European Open in 1993, and consecutive Welsh Open titles in 1994 and 1995. His successful defence of his Welsh Open title in 1995 was to be his last ranking title. Davis's last victory in a major tournament came at the 1997 Masters. Trailing his opponent Ronnie O'Sullivan 4–8 in the final, he won the next six frames to secure a 10–8 win. During this period, Davis had been clearly struggling with his game, displaying the classic symptoms of a confidence problem in his technique. His cue action, which was once regarded by his peers as the best in the game, was now in tatters, with Davis seemingly unable to settle on a feathering up drill, going from slow and deliberate in some matches to randomly speeding up in others. He also soon brought comments from commentators with regard to his overreliance on safety play, and over thinking his shots. It was clear that Davis had a serious problem and ultimately one he would never recover from. 1989 proved to be his last appearance in a World Final, unthinkable at the time. In the first round Davis defeated Mark King 10–9, becoming, at the age of 52, the oldest player to win a match at the Crucible since Eddie Charlton beat Cliff Thorburn in 1989. In the second round against defending champion John Higgins, a 1–20 favourite, Davis led 6–2 after the first session, 9–7 after the second session, and ultimately won 13–11, a win Clive Everton described as "the greatest upset in the 33 years the Crucible has been hosting the championship." This made him the oldest world quarter-finalist since Charlton in 1983. In the quarter-final match against Australian Neil Robertson, Davis recovered from a 2–12 deficit to force the match into the third session, eventually losing 5–13. On 29 April 2010, to mark the 25th anniversary of their black-ball final of 1985, Davis appeared with Taylor before the beginning of the first semi-final, to stage a humorous re-enactment of their historic final frame. Taylor entered the arena wearing a pair of comically oversized glasses, while Davis arrived sporting a red wig. Davis started the 2011/2012 season at number 44, his lowest rank since turning professional. He lost his first qualifying match at the Shanghai Masters 1–5 against Passakorn Suwannawat. After 2010 he reached the final of the World Seniors Championship, but again lost in the final, this time 1–2 against Darren Morgan. Davis also participated at the Players Tour Championship, where his best results came at the Warsaw Classic, where he reached the semi-finals, but lost 3–4 against Ricky Walden. He finished number 26 on the Order of Merit. He qualified for the UK Championship, by defeating both Ian McCulloch and Andrew Higginson 6–2, but he could not qualify to the German Masters as he lost 1–5 against Robert Milkins and also lost in the first round of the UK Championship 1–6 against Ronnie O'Sullivan. Davis then missed the World Open, as he lost his first qualifying match 1–5 against Ian McCulloch, but reached the last 16 of the Welsh Open with three 4–3 victories, defeating Lucky Vatnani, Ricky Walden and Allister Carter, before losing 0–4 against Shaun Murphy. However, he then did not qualify for either the China Open, nor the World Snooker Championship, losing 1–5 to Rory McLeod and 7–10 to Ben Woollaston respectively. Davis started the 2012/2013 season at number 51, but could not qualify for the first two ranking events, as he lost 3–5 against Kurt Maflin at the Wuxi Classic, and 0–5 against Michael Wild at the Australian Goldfields Open. Davis took part in the Six-red World Championship, where he finished third in Group E with three wins out of five matches and advanced to the knock-out stage, but lost 1–6 against Mark Davis in the last 32. Davis qualified for the Shanghai Masters by defeating Alfie Burden 5–1 and Andrew Higginson 5–0. There he defeated Zhu Yinghui 5–1 to reach the last 32, but lost 4–5 against Ricky Walden. He, however, could not qualify for the International Championship after losing his first qualifying match 5–6 against Pankaj Advani. Davis then qualified for the final stages of the UK Championship by defeating Advani 6–5 and Jamie Burnett 6–2, but lost 2–6 against Ali Carter, and he also lost his first qualifying match at German Masters 4–5 against Simon Bedford. Davis also participated at the Players Tour Championship, where his best results came at the Kay Suzanne Memorial Trophy and the Scottish Open, where he reached the last 16, but lost 3–4 against John Higgins and 1–4 against Ding Junhui respectively. He finished number 52 on the Order of Merit. Davis then lost at the qualifying stages of the next two ranking events. He lost 4–5 against Chen Zhe at the World Open, and 0–5 against Mark King at the China Open. At the Welsh Open he defeated Kurt Maflin 4–2 to qualify for the venue stage of the event, where he lost 0–4 against Mark Selby. Davis finished the season in the qualifying stage of the World Championship by losing 7–10 against Maflin. Davis started the 2013/2014 season at number 51, and his first match was in the qualifying stages for the Wuxi Classic, where he faced James Cahill. After Cahill levelled the match at 2–2, Davis won the next three frames in a row, along with a 131 break in the penultimate frame, to book his place for the main stage of the tournament in Wuxi, where he lost 1–5 against Andrew Higginson in the last 64. Davis then lost at the qualifying stages of the next two ranking events he entered. He lost 2–5 against Higginson at the Shanghai Masters, and 1–4 against Thanawat Thirapongpaiboon at the Indian Open. He then qualified for the International Championship with a 6–2 win against Allan Taylor, but lost at the venue 1–6 against Zhao Xintong in the wildcard round. Davis won his first World Seniors Championship title by defeating Nigel Bond 2–1 in the final. After a defeat by Craig Steadman 8–10 in the second round of the 2014 World Snooker Championship qualification, Davis finished the season outside the top 64 in the money list and dropped off the professional main tour after 36 years. Given an invitational tour card to participate in tournaments for the 2014–15 season, Davis made his return to competitive snooker in the Riga Open in August 2014, losing 1–4 to Robert Milkins in the last 64. He then participated in the Paul Hunter Classic, losing 2–4 to Gary Wilson in the last 128. Davis played in the 2014 Champion of Champions event after qualifying through winning the 2013 World Seniors Championship, losing 1–4 to Mark Selby in the group semi-final. He entered the 2016 World Championship qualifiers but was beaten by Fergal O'Brien in his final match as a professional snooker player. On 17 April 2016 Davis announced his retirement from professional snooker during a live BBC broadcast, citing the recent death of his father Bill as the main reason. Davis entered the Crucible Theatre holding the World Championship trophy and received a standing ovation by the audience. Davis continues to play exhibitions and commentate for the BBC's snooker coverage. In the book Masters of the Baize, a detailed comparison and ranking of snooker professionals, authors Luke Williams and Paul Gadsby rated Davis as the third greatest snooker player of all time behind Joe Davis and Stephen Hendry. Davis has won a record 81 professional titles and was the runner-up in 37 events. 28 of these titles were in ranking events. His record of six world titles in the modern era has been bettered only by Hendry and his tally of six UK Championship titles has been bettered by Ronnie O'Sullivan. Davis has also compiled over 300 competitive centuries during his career. In 2011 he was inducted to World Snooker's newly created Hall of Fame along with seven former World Champions. From 1994 to 2007 Davis played in professional nine-ball pool events regularly. He was instrumental in the creation of the Mosconi Cup, and has represented Europe in the tournament on eleven occasions, and was a member of the team's 1995 and 2002 wins; his victory against the US's Earl Strickland clinched the 2002 competition for Europe. In 2001 Davis nearly won his first singles title in pool at the World Pool League, however, Efren Reyes defeated him 9–5 the final. Sid Waddell gave him the nickname "Romford Slim" and said he was Britain's answer to the famous American pool player Rudolf "Minnesota Fats" Wanderone. Davis dislikes eight-ball pool as played on English-style tables in British pubs and clubs, considering it a "Mickey Mouse game" because of its undersized cue ball in relation to the other balls, but made it clear that he is only critical of the game when it is played with an undersized cue ball. Davis reached the last 16 of the 2003 WPA World Nine-ball Championship, where he faced three-time champion Strickland, held in Cardiff, Wales. The match was notable for the behaviour the match was played under, with Strickland calling out members of the crowd for being biased towards Davis. Referee Michaela Tabb warned Strickland, to which he replied that Tabb should "shut up". Strickland would also complain after Davis took a second toilet break, when only allocated one. Davis later admitted this was used as gamesmanship against Strickland. Strickland would win the match, and later proceed to the Semi-finals of the event. Davis has also become a proficient poker player, with successful appearances at televised tournaments; these included an appearance at the final table of the 2003 Poker Million together with fellow snooker player Jimmy White, who eventually won. Later, at Event 41 of the 2006 World Series of Poker, Davis finished 579th, winning US$20,617. At Event 54 of the 2008 World Series of Poker he finished 389th, winning $28,950. At Event 56 of the 2010 World Series of Poker he finished 131st, winning $5,491. At Event 22 of the 2011 Grand Poker Series he finished 8th, winning $2,049. He is also a keen chess player and was for a while the president of the British Chess Federation. In 1995, he co-authored a book, Steve Davis Plays Chess. Davis has become known for his coolness and impeccable conduct in high-pressure situations. His initial lack of emotional expression and somewhat monotonous interviewing style earned him a reputation as boring. As a result, the satirical television series Spitting Image gave him the ironic nickname "Interesting". Davis himself now plays upon this image and says it helped him gain acceptance from the public. It led to him co-authoring a comedic book, How to Be Really Interesting (1988), with Geoff Atkinson, the front cover of which shows Davis mocking his perceived dullness, dressed in boxing regalia holding a cue. Davis appeared as a commentator for the BBC's snooker coverage and as a guest on television quizzes such as They Think It's All Over and A Question of Sport. He appeared in a baked beans advertisement in the 1980s (featuring snooker commentator Ted Lowe with the pay-off line "really interesting" and Davis 'assessing' his beans on toast as if it were a snooker situation, and chalking his cutlery). In 2007, his image was used as the epitome of "reliability" in a series of advertisements for Irish Life. He featured in a spoof online viral promoting the Nintendo DS game World Snooker Championship Season 2007–08, in which he parodied a Nicole Kidman Brain Training advert. In 2010, Davis made a cameo appearance in The Increasingly Poor Decisions of Todd Margaret as himself. His other TV appearances include a guest slot on the Christmas 1981 edition of The Morecambe and Wise Show. 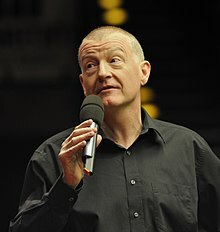 He has published numerous other books, five relating to snooker: Successful Snooker (1982), Frame and Fortune (1982), Steve Davis: Snooker Champion (1983), Matchroom Snooker (1988) and The Official Matchroom 1990; two relating to chess in 1995 with David Norwood: Steve Davis Plays Chess and Grandmaster Meets Chess Amateur. He also authored three cookbooks in 1994: Simply Fix – the Steve Davis Interesting Cookbook No 1 – Interesting Things to Do With Meat, Simply Fix – The Steve Davis Interesting Cookbook No 2 – Interesting Things to Make with Poultry, and Simply Fix – the Steve Davis Interesting Cookbook No 3 – Interesting Things to Make Using Vegetables. In 1986, he joined musical duo Chas & Dave and several other snooker stars of the time (under the name "The Matchroom Mob") on the novelty record "Snooker Loopy", which was a Top 10 hit in the United Kingdom. A year the later they released a follow-up single, the "Romford Rap", though this only reached #91 in the UK charts. Since 1996 he has presented a show dedicated to progressive rock and the Canterbury scene on his local radio station, Phoenix FM. In 2013, Davis participated in the thirteenth series of I'm a Celebrity...Get Me Out of Here!, finishing in eighth place. In 2017, he appeared in Would I Lie to You? as a guest panelist where he recounted the true story of being fired by the Sultan of Brunei as a coach to his son following an incident with a cheese sandwich. A film about Steve Davis' rise and subsequent dominance of snooker in the 1980s and his intense rivalry with Alex Higgins was released by the BBC in 2016 titled The Rack Pack casting Will Merrick as Davis . Davis joined Brentwood community radio station Phoenix FM in 1996, broadcasting a variety of soul and rock shows during the next ten years while the station broadcast online and on FM under a Restricted Service Licence. When the station went full-time on FM in March 2007, Davis started to broadcast The Interesting Alternative show on Monday evenings - a show (as of 2018) he continues to present weekly. As a result of his regular broadcasting Davis presented a guest slot on BBC Radio 6 Music in 2011. He branched out into club work with a more modern sound in 2015 and has regular slots at London bars and nightclubs. Davis performed with his collaborator Kavus Torabi at the Glastonbury Festival in 2016. In 1988, Davis was named the BBC Sports Personality of the Year and was made an MBE. He was made an OBE in 2000, and is currently honorary president of the Snooker Writers' Association. Davis is a big fan of the French progressive rock band Magma, and even organised a concert in London so he could watch them. Davis is on the board of Leyton Orient football club; he has been a Charlton Athletic fan most of his life. He was a supporter of the Conservative Party for the 1983 General Election. Steve Davis made the first maximum break in professional competition in 1982. ^ Players issued an invitational tour card began the season without ranking points. ^ The event ran under different names as Australian Masters (1979/1980 to 1987/1988 and 1995/1996), Hong Kong Open (1989/1990) and Australian Open (1994/1995). ^ The event ran under different name as German Open (1995/1996 to 1997/1998). ^ The event ran under different name as Players Tour Championship Grand Finals (2010/2011 to 2012/2013). ^ The event ran under different names such as International Open (1981/1982 to 1984/1985, 1986/1987 to 1996/1997), Goya Matchroom Trophy (1985/1986) and Players Championship (2003/2004). ^ The event ran under different names such as British Gold Cup (1979/1980), Yamaha Organs Trophy (1980/1981) and International Masters (1981/1982 to 1983/1984). ^ The event ran under different names such as European Open (1988/1989 to 1996/1997 and 2001/2002 to 2003/2004) and Irish Open (1998/1999). ^ The event ran under different name as Professional Players Tournament (1982/1983 and 1983/1984), LG Cup (2001/2002 to 2003/2004), Grand Prix (1984/1985 to 2000/2001 and 2004/2005 to 2009/2010), the World Open (2010/2011) and the Haikou World Open (2011/2012–2013/2014). ^ The event ran under different name as Jiangsu Classic (2008/2009 to 2009/2010). ^ The event ran under different names such as International Open (1981/1982 to 1984/1985, 1986/1987 to 1996/1997), Matchroom Trophy (1985/1986) and Players Championship (2003/2004). ^ a b "Steve Davis Retires From Snooker – World Snooker". 17 April 2016. ^ a b c Hafez, Shamoon (17 April 2016). "Steve Davis: Snooker great retires after 38-year career". BBC. Retrieved 22 April 2016. ^ "Snooker Questions Page 2". 2002. Archived from the original on 7 November 2010. Retrieved 7 December 2010. ^ Bose, Mihir (19 April 2011). "Steve Davis: If Ronnie O'Sullivan was a greyhound, you'd put him down". London Evening Standard. UK. Archived from the original on 2 June 2011. Retrieved 12 May 2011. ^ Kane, Desmond. "The numbers add up for the golden Nugget". The National. Retrieved 4 January 2012. ^ Smith, David. "Collecting on a Budget". Cues n Views. Retrieved 4 January 2012. ^ a b Speck, Ivan (23 December 2009). "Can Flash Barry turn the nation snooker loopy all over again?". Daily Mail. UK. Archived from the original on 2 June 2011. Retrieved 10 May 2011. ^ Yates, Phil (17 April 2010). "Chairman wants players to become Barry Hearn's earners". The Times. UK. Archived from the original on 2 June 2011. Retrieved 10 May 2011. ^ "Board of Directors". Matchroom Sport. Archived from the original on 10 May 2011. Retrieved 10 May 2011. ^ a b c d Turner, Chris (2004). "Player Profile: Steve Davis". The Global Snooker Centre. Archived from the original on 19 January 2009. Retrieved 11 April 2007. ^ "Steve Davis profile". matchroomsport.com. Archived from the original on 18 February 2008. Retrieved 25 February 2008. ^ a b c d "Pontin's Roll of Honour". Global Snooker Centre. Archived from the original on 23 December 2008. ^ "Tributes to cue king Fred Davis". London, UK: BBC News. 16 April 1998. Archived from the original on 7 November 2010. Retrieved 25 February 2008. ^ Dee, John (26 January 2004). "Snooker: Davis happy to return to elite". The Daily Telegraph. UK. Archived from the original on 7 November 2010. Retrieved 25 February 2008. ^ a b "Snooker: Hicks heaps misery on erring Davis". The Independent. UK. 19 April 1995. Archived from the original on 7 November 2010. Retrieved 25 February 2008. ^ "A Profile for Terry Griffiths". Terry Griffiths Matchroom. Archived from the original on 7 November 2010. Retrieved 25 February 2008. ^ "1980 World Championships Results". Snooker Database. Archived from the original on 2 June 2011. Retrieved 5 May 2011. ^ "1980 UK Championship Results". Snooker Database. Archived from the original on 2 June 2011. Retrieved 5 May 2011. ^ Dee, John (27 January 2004). "Davis happy to return to elite". London: The Daily Telegraph. Archived from the original on 2 June 2011. Retrieved 24 May 2011. ^ "The Betfair Contrarian: Why the World Championship won't have a new champion". The Betfair Contrarian. 2008. Archived from the original on 7 November 2010. Retrieved 10 September 2008. ^ "1981 World Championships Results". Snooker Database. Archived from the original on 2 June 2011. Retrieved 5 May 2011. ^ "1981: Davis begins his reign". London: BBC Sport. 12 April 2002. Archived from the original on 7 November 2010. Retrieved 25 February 2008. ^ a b c d e f g h i "World Championships Winners". Snooker Database. Archived from the original on 2 June 2011. Retrieved 24 May 2011. ^ "1981 UK Championship Results". Snooker Database. Archived from the original on 2 June 2011. Retrieved 5 May 2011. ^ Wilson, Jeremy (28 April 2009). "Stephen Hendry progress in balance despite 147 maximum break". The Daily Telegraph. UK. Archived from the original on 2 June 2011. Retrieved 14 May 2011. ^ "Snooker's historic maximum breaks". SportingLife. 7 December 2013. Retrieved 14 February 2014. ^ Marsden, Carl (5 September 2007). "Piece of snooker history ended up at rugby club". Oldham Advertiser. Archived from the original on 7 November 2010. Retrieved 25 February 2008. ^ a b "Masters roll of honour". London: BBC Sport. 7 January 2008. Archived from the original on 7 November 2010. Retrieved 25 February 2008. ^ "1982 UK Championship Results". Snooker Database. Archived from the original on 2 June 2011. Retrieved 5 May 2011. ^ "1983: Davis's title but Thorburn's 147". London: BBC Sport. 12 April 2002. Archived from the original on 7 November 2010. Retrieved 25 February 2008. ^ "Back from the dead". London: BBC Sport. 28 November 2000. Archived from the original on 7 November 2010. Retrieved 25 February 2008. ^ "1984: Davis outshines White". London: BBC Sport. 12 April 2002. Archived from the original on 7 November 2010. Retrieved 25 February 2008. ^ a b c d e f g h i j k l m Ashenden, Mark (28 November 2002). "UK Championship history". London: BBC Sport. Archived from the original on 7 November 2010. Retrieved 25 February 2008. ^ "1985: The black ball final". London: BBC Sport. 14 April 2002. Archived from the original on 7 November 2010. Retrieved 25 February 2008. ^ "100 Greatest Sporting Moments – Results". Channel4.com. Archived from the original on 7 November 2010. Retrieved 16 April 2007. ^ Dee, John (1 May 2001). "Ebdon quick to sit on fence". London: The Sunday Telegraph. Archived from the original on 7 November 2010. Retrieved 29 August 2009. ^ Hendon, Dave. "Meet The Misses". Snooker Scene Blog. Archived from the original on 2 June 2011. Retrieved 5 May 2011. ^ "1986 World Championships Results". Snooker Database. Archived from the original on 2 June 2011. Retrieved 5 May 2011. ^ "1986: Johnson stuns snooker world". London: BBC Sport. 14 April 2002. Archived from the original on 7 November 2010. Retrieved 25 February 2008. ^ a b c d e "Classic". Snooker Scene. Archived from the original on 2 June 2011. Retrieved 24 May 2011. ^ "1987 World Championships Results". Snooker Database. Archived from the original on 2 June 2011. Retrieved 5 May 2011. ^ "1987: Davis's revenge on Johnson". London: BBC Sport. 14 April 2002. Archived from the original on 7 November 2010. Retrieved 25 February 2008. ^ McHenry, Bruce. "Williams clinches triple crown". The Scotsman. UK. Archived from the original on 2 June 2011. Retrieved 5 May 2011. ^ "1988: Davis does it again". London: BBC Sport. 14 April 2002. Archived from the original on 7 November 2010. Retrieved 25 February 2008. ^ Everton, Clive (1993). The Embassy Book of World Snooker. Bloomsbury Publishing. p. 129. ISBN 978-0-7475-1610-1. ^ "1988 UK Championship Results". Snooker Database. Archived from the original on 2 June 2011. Retrieved 5 May 2011. ^ "1989: Davis makes it six". London: BBC Sport. 14 April 2002. Archived from the original on 7 November 2010. Retrieved 25 February 2008. ^ "Maguire makes White cross in Malta as he dominates final". The Scotsman. UK. Archived from the original on 19 May 2011. Retrieved 15 May 2011. ^ "1990 – Cue Stephen Hendry". London: BBC Sport. 12 April 2002. Archived from the original on 7 November 2010. Retrieved 25 February 2008. ^ a b c d e "Ranking History". Snooker.org. Retrieved 5 May 2011. ^ "1991: Parrott finally gets reward". London: BBC Sport. 12 April 2002. Archived from the original on 7 November 2010. Retrieved 25 February 2008. ^ "1994: Hendry beats White in classic". London: BBC Sport. 12 April 2002. Archived from the original on 7 November 2010. Retrieved 25 February 2008. ^ "Welsh Open: Previous winners". London: BBC Sport. 14 January 2005. Archived from the original on 7 November 2010. Retrieved 25 February 2008. ^ a b "Biographies; Steve Davis: Presenter". BBC Press Office. 2007. Archived from the original on 7 November 2010. Retrieved 14 April 2007. ^ "2001 World Championships Results". Snooker Database. Archived from the original on 2 June 2011. Retrieved 5 May 2011. ^ "2002 World Championships Results". Snooker Database. Archived from the original on 2 June 2011. Retrieved 5 May 2011. ^ Everton, Clive (5 March 2001). "Snooker now a young man's game". BBC Sport. Retrieved 5 July 2011. ^ Chowdhury, Saj (27 April 2005). "Murphy beats Davis to reach semis". London: BBC Sport. Archived from the original on 7 November 2010. Retrieved 25 February 2008. ^ a b "Official player profile of Steve Davis". worldsnooker.com. World Professional Billiards and Snooker Association. "Tour Players" section. Retrieved 1 April 2010. ^ "World Snooker – Steve Davis". Sporting Life. Archived from the original on 7 November 2010. Retrieved 26 February 2008. ^ "2005 UK Championship". Global Snooker Centrwe. Archived from the original on 28 April 2006. ^ "Davis brushes off retirement talk". BBC Sport. 12 April 2006. Retrieved 5 July 2011. ^ "888.com 2006 World Championship". Global Snooker Centre. Archived from the original on 1 July 2007. ^ "Davis Rolls Back The Years". The Daily Mail. UK. 5 May 2007. Archived from the original on 14 April 2011. Retrieved 14 April 2011. ^ "Top Trump". Worldsnooker.com. 18 September 2009. Archived from the original on 7 November 2010. Retrieved 31 January 2010. ^ Speck, Ivan (22 April 2009). "Davis dismisses talk of retirement after being crushed at The Crucible". London: Mail Online. Retrieved 5 July 2011. ^ "2009 Shanghai Masters Qualifying". Global Snooker. Archived from the original on 2 June 2011. Retrieved 17 April 2010. ^ "2009 Grand Prix Qualifying". Global Snooker. Archived from the original on 2 June 2011. Retrieved 17 April 2010. ^ "Steve Davis books UK clash with Stephen Hendry". BBC Sport. 30 November 2009. Archived from the original on 14 May 2011. Retrieved 14 May 2011. ^ "Stephen Hendry overcomes Steve Davis in UK Championship but finds the game is 'torture'". The Daily Telegraph. UK. 6 December 2009. Archived from the original on 14 May 2011. Retrieved 14 May 2011. ^ Kendal-Williams, Simon. "Williams andcostill chasingthat elusive pot of Welsh gold; snooker's finest head for Wales: But will there be a home winner?". Wales on Sunday on TheFreeLibrary.com. Retrieved 14 May 2011. ^ Hartley, John. "Mike Dunn's world bid". Evening Gazette. Archived from the original on 14 May 2011. Retrieved 14 May 2011. ^ "Veteran Steve Davis wins 30th place at snooker's Crucible world showdown". The Daily Mail. UK. 9 March 2010. Retrieved 14 May 2011. ^ Everton, Clive (21 April 2010). "Steve Davis becomes oldest player in 21 years to win at world championships". Guardian. London. Archived from the original on 2 June 2011. Retrieved 24 May 2011. ^ Everton, Clive (25 April 2010). "Eighties flashbacks inspire Steve Davis to Crucible's greatest upset". Guardian. London. Archived from the original on 2 June 2011. Retrieved 24 May 2011. ^ "Neil Robertson beats Steve Davis to make world semis". BBC Sport. 28 April 2010. Archived from the original on 7 November 2010. Retrieved 28 April 2010. ^ "Davis and Taylor rerun 1985 classic". Morning Star. 29 April 2010. Archived from the original on 7 November 2010. Retrieved 30 April 2010. ^ "2010 Roewe Shanghai Masters Qualifying Matches and Results". Global Snooker. Archived from the original on 2 June 2011. Retrieved 27 July 2010. ^ "2010 Roewe Shanghai Masters Final Stage Matches and Results". Global Snooker. Archived from the original on 2 June 2011. Retrieved 27 July 2010. ^ "Ebdon defeats Davis in batlle of World Champs". 110 Sport. Archived from the original on 2 June 2011. Retrieved 14 May 2011. ^ "2010 UK Championship Results". Snooker Database. Archived from the original on 2 June 2011. Retrieved 14 May 2011. ^ "Euro Players Tour Championship 1 Drawsheet (Last 16 to Final)". World Professional Billiards and Snooker Association. Retrieved 4 April 2012. ^ "Order of Merit" (PDF). worldsnooker.com. World Professional Billiards and Snooker Association. 22 November 2010. Archived from the original (PDF) on 26 June 2011. Retrieved 5 October 2010. ^ a b "White Crowned Senior Champion". worldsnooker.com. World Professional Billiards and Snooker Association. Retrieved 24 May 2011. ^ "2011 German Masters Results". Snooker Database. Archived from the original on 2 June 2011. Retrieved 2 June 2011. ^ "2011 Welsh Open Results". Snooker Database. Archived from the original on 2 June 2011. Retrieved 2 June 2011. ^ "2011 China Open Results". Snooker Database. Archived from the original on 2 June 2011. Retrieved 2 June 2011. ^ "2011 World Championship Results". Snooker Database. Archived from the original on 2 June 2011. Retrieved 2 June 2011. ^ "2011 Shanghai Masters qualifiers results". worldsnooker.com. World Professional Billiards and Snooker Association. Retrieved 2 October 2011. ^ "Morgan Takes Senior Crown". worldsnooker.com. World Professional Billiards and Snooker Association. Archived from the original on 25 December 2011. Retrieved 5 November 2011. ^ "Davis Into Last Four". worldsnooker.com. World Professional Billiards and Snooker Association. Archived from the original on 17 December 2010. Retrieved 2 October 2011. ^ "PTC Order of Merit after PTC12" (PDF). worldsnooker.com. World Professional Billiards and Snooker Association. Archived from the original (PDF) on 21 January 2012. Retrieved 29 December 2011. ^ "2011 UK Championship Qualifiers". worldsnooker.com. World Professional Billiards and Snooker Association. Retrieved 10 November 2011. ^ "German Masters Qualifiers (2011)". worldsnooker.com. World Professional Billiards and Snooker Association. Archived from the original on 25 December 2011. Retrieved 23 November 2011. ^ "UK Championship draw". worldsnooker.com. World Professional Billiards and Snooker Association. Retrieved 6 December 2011. ^ "2012 Haikou World Open qualifiers results". worldsnooker.com. World Professional Billiards and Snooker Association. Archived from the original on 25 December 2011. Retrieved 14 January 2012. ^ "2012 Welsh Open qualifiers results". worldsnooker.com. World Professional Billiards and Snooker Association. Retrieved 13 February 2012. ^ "2012 Welsh Open draw and format". worldsnooker.com. World Professional Billiards and Snooker Association. Archived from the original on 15 February 2012. Retrieved 19 February 2012. ^ "2012 China Open qualifiers results". worldsnooker.com. World Professional Billiards and Snooker Association. Archived from the original on 18 January 2015. Retrieved 24 February 2012. ^ "2012 Betfred World Qualifiers Results". worldsnooker.com. World Professional Billiards and Snooker Association. Archived from the original on 25 December 2011. Retrieved 15 April 2012. ^ "Rankings after the 2012 World Snooker Championship" (PDF). World Snooker. World Professional Billiards and Snooker Association. Archived from the original (PDF) on 16 June 2013. Retrieved 9 May 2012. ^ "Wuxi Classic 2012 Results". worldsnooker.com. World Snooker. Retrieved 4 June 2012. ^ "Australian Goldfields Open Qualifiers". worldsnooker.com. World Professional Billiards and Snooker Association. Archived from the original on 16 October 2011. Retrieved 11 June 2012. ^ "Six Red World Championship 2012 Group Tables" (PDF). Billiards Sports Association of Thailand. Archived from the original (PDF) on 6 July 2012. Retrieved 6 July 2012. ^ "Six Red World Championship 2012 results". worldsnooker.com. World Professional Billiards and Snooker Association. Archived from the original on 16 October 2011. Retrieved 30 June 2012. ^ "Shanghai Masters Qualifiers 2012 Results". worldsnooker.com. World Professional Billiards and Snooker Association. Retrieved 30 July 2012. ^ "Davis Escapes Zhu As Fu Falls". worldsnooker.com. World Professional Billiards and Snooker Association. Retrieved 23 September 2012. ^ "Walden Fends Off Davis Challenge". worldsnooker.com. World Professional Billiards and Snooker Association. Retrieved 23 September 2012. ^ "International Championship Qualifiers 2012 Results". worldsnooker.com. World Professional Billiards and Snooker Association. Retrieved 23 August 2012. ^ "UK Qualifiers results". worldsnooker.com. World Professional Billiards and Snooker Association. Retrieved 19 November 2012. ^ "UK Championship 2012 scores and schedule". BBC Sport. Retrieved 1 December 2012. ^ "2013 German Masters qualifiers results". worldsnooker.com. World Professional Billiards and Snooker Association. Archived from the original on 26 January 2013. Retrieved 3 December 2012. ^ "UK PTC 4 results". worldsnooker.com. World Professional Billiards and Snooker Association. Retrieved 14 November 2012. ^ "Scottish Open 2012 results". worldsnooker.com. World Professional Billiards and Snooker Association. Retrieved 17 December 2012. ^ "Order of Merit issued after Munich Open 2013 (ET6)" (PDF). worldsnooker.com. World Professional Billiards and Snooker Association. Archived from the original (PDF) on 27 January 2013. Retrieved 7 January 2013. ^ "2013 Haikou World Open qualifiers results". worldsnooker.com. World Professional Billiards and Snooker Association. Retrieved 2 January 2013. ^ "China Open 2013 qualifiers results" (PDF). World Professional Billiards and Snooker Association. Archived from the original (PDF) on 13 January 2013. Retrieved 13 January 2013. ^ "2013 Welsh Open Qualifiers results" (PDF). World Professional Billiards and Snooker Association. Archived from the original (PDF) on 9 February 2013. Retrieved 9 February 2013. ^ "Betfair World Championship Qualifiers results" (PDF). World Professional Billiards and Snooker Association. Archived from the original (PDF) on 15 April 2013. Retrieved 15 April 2013. ^ "Wuxi Classic qualifiers – Round 1 – Match 51 – Steve Davis v James Cahill". worldsnookerdata.com. World Professional Billiards and Snooker Association. Archived from the original on 28 May 2013. Retrieved 28 May 2013. ^ "Wuxi Classic 2013: Schedule and results". BBC Sport. Retrieved 17 June 2013. ^ "International Open 2013: Schedule and results". BBC Sport. Retrieved 30 October 2013. ^ a b "World Seniors Championship: Steve Davis beats Nigel Bond 2–1 in Portsmouth final". Sky Sports. 20 October 2013. Retrieved 20 October 2013. ^ "European Tour Event One (2014)". Snooker.org. Retrieved 10 August 2014. ^ "European Tour Event Two (2014)". Snooker.org. Retrieved 14 August 2014. ^ "Champion of Champions Group Seeds Announced – Matchroom Sport". 17 October 2014. ^ "Dafabet Champion of Champions (2014)". Snooker.org. Retrieved 16 May 2014. ^ "Emotional Steve Davis announces retirement after glorious 38-year career". Eurosport. 17 April 2016. Retrieved 25 April 2016. ^ "Hendry rated as best-ever player". London: BBC. 14 April 2005. Archived from the original on 7 November 2010. Retrieved 2 January 2007. ^ Williams, Luke; Gadsby, Paul (2005). Masters of the Baize: Cue Legends, Bad Boys and Forgotten Men in Search of Snooker's Ultimate Prize. Mainstream Publishing. ISBN 1-84018-872-3. ^ "Higgins Voted Player Of The Year". worldsnooker.com. World Professional Billiards and Snooker Association. Retrieved 11 May 2011. ^ a b Harris, Nick (3 December 2007). "An email conversation with Steve Davis: 'Snooker has real strength in depth. It's not like it used to be'". The Independent. UK. Archived from the original on 7 November 2010. Retrieved 29 August 2009. ^ "History". 2005.mosconicup.com. Matchroom Sport. Archived from the original on 2 June 2011. Retrieved 2 June 2011. ^ "Europe Win Mosconi Cup For First Time Since 1995". 9ballpool.co.uk. 23 December 2002. Archived from the original on 7 November 2010. Retrieved 21 April 2007. ^ "History (1994–2003)". 2004.mosconicup.com. Mosconi Cup. Archived from the original on 2 June 2011. Retrieved 2 June 2011. ^ "Steve Davis: Mosconi 2002 Was One Of The Best Moments Of My Career - Matchroom Pool". Matchroom Pool. Retrieved 9 August 2018. ^ "World Pool League Back In Poland". European Pocket Billiard Federation. 2001. Archived from the original on 2 June 2011. Retrieved 11 April 2007. ^ "Uk8ball.com Interviews Steve Davis at the Nineball Worlds". UK8Ball.com. 17 July 2002. Archived from the original on 27 September 2007. Retrieved 3 May 2007. ^ a b "Strickland beats Davis and crowd to get to WPC Final 8". azbilliards.com. Retrieved 9 August 2018. ^ Mike Panozzo (19 July 2003). "Mount St Earl Erupts, Wins!". Archived from the original on 12 February 2012. ^ "Michaela Tabb Interview « Snooker Island Blog". snookerisland.com. Retrieved 9 August 2018. ^ "Steve Davis Profile". The Mob Poker Database. Archived from the original on 2 June 2011. Retrieved 29 April 2008. ^ "History of the Poker Million". Poker Player. Archived from the original on 2 June 2011. Retrieved 4 May 2011. ^ "Event 41 – No-Limit Hold'em Championship (Players ranked between 561 and 580)". CardPlayer.com. Archived from the original on 9 May 2011. Retrieved 9 May 2011. ^ "Event 54 – World Championship No-Limit Hold'em (Players ranked between 381 and 400)". CardPlayer.com. Archived from the original on 9 May 2011. Retrieved 9 May 2011. ^ "Event 56 – $2,500 No-Limit Hold'em (Players ranked between 122 and 141)". CardPlayer.com. Archived from the original on 11 May 2011. Retrieved 11 May 2011. ^ "Event 22 – H.O.R.S.E. results". CardPlayer.com. Archived from the original on 14 March 2012. Retrieved 13 March 2012. ^ "Steve Davis". Eurosport UK. 2009. Archived from the original on 2 June 2011. Retrieved 12 February 2010. ^ "Mr Interesting...On the Spot". BBC Lancashire. Archived from the original on 7 November 2010. Retrieved 14 April 2007. ^ Philip, Robert (8 November 2007). "'Interesting' Steve Davis still playing for fun". The Independent. UK. Retrieved 14 May 2011. ^ Davis, Steve; Atkinson, Geoff (1988). How To Be Really Interesting. Penguin Books Ltd. ISBN 0-14-011306-1. ^ a b "Steve Davis". Internet Movie Database. Archived from the original on 2 June 2011. Retrieved 2 June 2011. ^ "Davis: An "Interesting" legend". London: BBC Sport. 12 April 2001. Archived from the original on 7 November 2010. Retrieved 25 January 2008. ^ "Snapshot of our Select investments". Irish Life. Archived from the original on 7 November 2010. Retrieved 25 February 2008. ^ "Viral turns snooker ace into Kidman". Marketing Week. 18 October 2007. Archived from the original on 2 June 2011. Retrieved 25 May 2011. ^ Davis, Steve (1982). Successful Snooker. London: Littlehampton Book Services Ltd. ISBN 0-85097-437-2. ^ Davis, Steve (1982). Frame and fortune. London: Arthur Barker. ISBN 0-213-16840-5. ^ Davis, Steve (1983). Radford, Brian (ed.). Steve Davis : Snooker Champion. London: Pan Books. ISBN 0-330-26864-3. ^ Davis, Steve; Griffiths, Terry; Taylor, Dennis; White, Jimmy; Foulds, Neal; Meo, Tony; Thorne, Willie (May 1988). Matchroom Snooker. Pelham Books. ISBN 0-7207-1826-0. ^ Davis, Steve (1989). The Official Matchroom 1990. Hamlyn. ^ Davis, Steve; Norwood, David (September 1995). Steve Davis Plays Chess. B.T. Batsford Ltd. ISBN 0-7134-7813-6. ^ Davis, Steve; Norwood, David (1995). Grandmaster Meets Chess Amateur (1st American ed.). New York: Henry Holt & Co. ISBN 0-8050-4224-5. ^ Davis, Steve (1994). Simply Fix – the Steve Davis Interesting Cookbook No 1 – Interesting Things to Do With Meat. Crosse & Blackwell. ISBN 0-946555-35-4. ^ Davis, Steve (1994). Simply Fix – The Steve Davis Interesting Cookbook No 2 – Interesting Things to Make with Poultry. London: Crosse & Blackwell. ISBN 0-946555-34-6. ^ Davis, Steve (1994). Simply Fix – The Steve Davis Interesting Cookbook No 3 – Interesting Things to Make Using Vegetables. London: Crosse & Blackwell. ^ "When Snooker Went Loopy". BBC. 20 November 2000. Archived from the original on 2 June 2011. Retrieved 20 June 2010. ^ "Snooker Loopy". Chart Stats. Archived from the original on 2 June 2011. Retrieved 5 February 2009. ^ "The Romford Rap". Chart Stats. Archived from the original on 2 June 2011. Retrieved 14 May 2011. ^ "The Interesting Alternative Show". Archived from the original on 7 November 2010. Retrieved 29 September 2010. ^ "With Davis racking up TV numbers in the jungle and Irvine doing all she can to sell the new format, can Snooker attract audiences away from The Crucible?". Daily Mail. 2 December 2013. Retrieved 2 December 2013. ^ "The Interesting Alternative Show". Phoenix FM. Retrieved 21 August 2018. ^ Sherwin, Adam (24 April 2011). "Steve Davis gets interesting as a prog rock DJ". The Independent. Retrieved 18 September 2017. ^ "Steve Davis at Bloc". Crack Magazine. 18 April 2016. Retrieved 21 April 2015. ^ Burnton, Simon (22 April 2017). "Steve Davis: 'Since leaving snooker I've got my adrenaline rush a different way'". The Observer. Retrieved 18 September 2017. ^ "No. 51365". The London Gazette (Supplement). 10 June 1988. p. 13. ^ "Sports Personality 2006 – Past winners: 1988–1992". London: BBC. 27 November 2003. Archived from the original on 7 November 2010. Retrieved 25 February 2008. ^ "No. 55710". The London Gazette (Supplement). 30 December 1999. p. 12. ^ Rawcliffe, Jonathan; Harlow, Phil (17 April 2005). "Crucible Diary – Day Two". London: BBC Sport. Archived from the original on 7 November 2010. Retrieved 15 April 2007. ^ Honeyball, Lee (7 March 2004). "My obsession". The Observer. UK. Archived from the original on 2 June 2011. Retrieved 14 April 2007. ^ Nicoli, Luke (November 2007). "Steve Davis". FourFourTwo: 110. ^ "Steve Davis". Inside Pool. 2004. Archived from the original on 7 November 2010. Retrieved 14 April 2007. ^ Boniface, Susie (6 March 2005). "Steve's Cutie". Sunday Mirror(Questia Online Library). Retrieved 4 April 2012. ^ White, Jim (8 March 2012). "Greg Davis has waited patiently but he is itching to clean up like his snooker father Steve". The Daily Telegraph. London. Retrieved 8 March 2012. ^ "Davis Junior Sets Snooker Goal". worldsnooker.com. World Professional Billiards and Snooker Association. Retrieved 8 March 2012. ^ "BBC News – Election 2010: Political celebrities – then and now". ^ a b c d e "International". Snooker Scene. Archived from the original on 2 June 2011. Retrieved 24 May 2011. ^ a b c d "Grand Prix". Snooker Scene. Archived from the original on 2 June 2011. Retrieved 24 May 2011. ^ a b "British Open". Snooker Scene. Archived from the original on 2 June 2011. Retrieved 24 May 2011. ^ "Canadian Masters (1988)". Snooker Scene. Archived from the original on 2 June 2011. Retrieved 24 May 2011. ^ a b "Dubai Duty Free Classic". Snooker Scene. Archived from the original on 2 June 2011. Retrieved 24 May 2011. ^ "Asian Open (1989–1993)". Snooker Scene. Archived from the original on 2 June 2011. Retrieved 24 May 2011. ^ "European Open". Snooker Scene. Archived from the original on 2 June 2011. Retrieved 24 May 2011. ^ a b "International Open". Snooker Scene. Archived from the original on 2 June 2011. Retrieved 24 May 2011. ^ Turner, Chris. "On this Week: First world title for Reardon". Eurosport UK. Retrieved 22 November 2012. ^ "Kloster Thailand Open". Snooker Scene. Archived from the original on 2 June 2011. Retrieved 24 May 2011. ^ a b c "Welsh Open". Snooker Scene. Archived from the original on 2 June 2011. Retrieved 24 May 2011. ^ "2005 UK Championship Results". Snooker Database. Archived from the original on 2 June 2011. Retrieved 24 May 2011. ^ a b c Kastner, von Hugo (2006). Humboldt-Ratgeber Snooker Spieler, Regeln & Rekorde (Orig.-Ausg., aktuelle Ausg. 2006/2007 ed.). Baden-Baden: Humboldt. pp. 140–141. ISBN 3-89994-098-9. ^ a b Kastner, von Hugo (2006). Humboldt-Ratgeber Snooker Spieler, Regeln & Rekorde (Orig.-Ausg., aktuelle Ausg. 2006/2007 ed.). Baden-Baden: Humboldt. p. 128. ISBN 3-89994-098-9. ^ a b Turner, Chris. "On this Week: Birth of the Hurricane". Eurosport UK. Archived from the original on 2 June 2011. Retrieved 24 May 2011. ^ Kastner, von Hugo (2006). Humboldt-Ratgeber Snooker Spieler, Regeln & Rekorde (Orig.-Ausg., aktuelle Ausg. 2006/2007 ed.). Baden-Baden: Humboldt. pp. 137–139. ISBN 3-89994-098-9. ^ a b c "The Masters". Snooker Scene. Archived from the original on 2 June 2011. Retrieved 24 May 2011. ^ a b c Turner, Chris. "On this Week: Ranking first for Carter". Eurosport. Archived from the original on 2 June 2011. Retrieved 24 May 2011. ^ a b c d e f g h i j "Irish Masters". Snooker Scene. Archived from the original on 2 June 2011. Retrieved 24 May 2011. ^ a b Turner, Chris. "Australian Masters". cajt.pwp.blueyonder.co.uk. Chris Turner's Snooker Archive. Archived from the original on 25 April 2012. Retrieved 18 March 2011. ^ a b c "Pot Black History". Global Snooker Centre. Archived from the original on 24 December 2008. ^ a b c Kastner, von Hugo (2006). Humboldt-Ratgeber Snooker Spieler, Regeln & Rekorde (Orig.-Ausg., aktuelle Ausg. 2006/2007 ed.). Baden-Baden: Humboldt. pp. 139–140. ISBN 3-89994-098-9. ^ "Steve Is The Master Again". Evening Times. 26 September 1983. Retrieved 7 May 2013. ^ "Sports Times sets the pace every day". Evening Times. 11 September 1984. Retrieved 6 June 2011. ^ a b Kastner, von Hugo (2006). Humboldt-Ratgeber Snooker Spieler, Regeln & Rekorde (Orig.-Ausg., aktuelle Ausg. 2006/2007 ed.). Baden-Baden: Humboldt. p. 132. ISBN 3-89994-098-9. ^ "Steve sees pitfalls". Evening Times. 21 December 1985. Retrieved 6 June 2011. ^ a b c d e f g h Hayton, Eric (2004). The CueSport Book of Professional Snooker. Suffolk: Rose Villa Publications. pp. 344–347. ISBN 978-0-9548549-0-4. ^ "Davis Too Good For Hendry". New Straits Times. Retrieved 5 June 2011. ^ a b c d Turner, Chris. "Premier / Matchroom League". cajt.pwp.blueyonder.co.uk. Chris Turner's Snooker Archive. Archived from the original on 16 February 2012. Retrieved 18 March 2011. ^ a b Kastner, von Hugo (2006). Humboldt-Ratgeber Snooker Spieler, Regeln & Rekorde (Orig.-Ausg., aktuelle Ausg. 2006/2007 ed.). Baden-Baden: Humboldt. p. 131. ISBN 3-89994-098-9. ^ Layton, Eric. Cuesport Book of Professional Snooker. p. 159-160. ^ Sethi, Geet (20 April 2000). "Davis shows Dott the door". Chennai, India: The Hindu. Archived from the original on 2 June 2011. Retrieved 31 May 2011. ^ "Sky's The Limit For Snooker Seniors". worldsnooker.com. World Professional Billiards and Snooker Association. Retrieved 6 October 2011. ^ "Wattana: 'I may quit'". BBC Sport. 13 March 2001. Archived from the original on 2 June 2011. Retrieved 24 May 2011. ^ "Pot Black". UKGameshows.com. Archived from the original on 7 May 2011. Retrieved 17 May 2010. ^ Kastner, von Hugo (2006). Humboldt-Ratgeber Snooker Spieler, Regeln & Rekorde (Orig.-Ausg., aktuelle Ausg. 2006/2007 ed.). Baden-Baden: Humboldt. p. 130. ISBN 3-89994-098-9. ^ "Morgan Takes Senior Crown". worldsnooker.com. World Professional Billiards and Snooker Association. Retrieved 5 November 2011. ^ "England's Classic Triump". The Glasgow Herald. 2 November 1981. Retrieved 2 June 2011. ^ "Canada wins snooker classic". Evening Times. 1 November 1982. Retrieved 2 June 2011. ^ "Meo makes his mark – and collects £13,000". The Glasgow Herald. 20 December 1982. Retrieved 2 June 2011. ^ "Davis leads England to second win". Evening Times. 31 October 1983. Retrieved 2 June 2011. ^ "Easy for Davis & Meo". The Glasgow Herald. 19 December 1983. Retrieved 2 June 2011. ^ a b "On this Week: Irish hat-trick success". Eurosport UK. Archived from the original on 2 June 2011. Retrieved 2 June 2011. ^ "Snooker". The Glasgow Herald. 25 March 1985. Retrieved 2 June 2011. ^ "Davis, Meo lift doubles crown". The Glasgow Herald. 16 December 1985. Retrieved 2 June 2011. ^ "Davis and Meo wrap up title". The Glasgow Herald. 15 December 1986. Retrieved 2 June 2011. ^ "Official 147s". World Snooker. Retrieved 27 July 2018. Wikimedia Commons has media related to Steve Davis. "Official player profile of Steve Davis". worldsnooker.com. World Professional Billiards and Snooker Association. "Tour Players" section. Retrieved 18 March 2011.